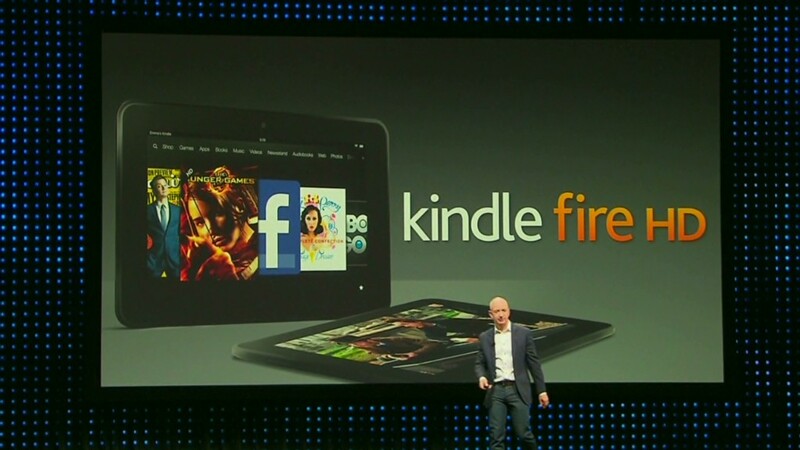 Amazon unveiled a refreshed line of Kindles and four Kindle Fire tablets on Thursday. It remains be seen how well they'll sell, but one thing is clear: Amazon's not about to tell anyone. Since the original Kindle e-reader's launch in 2007, Amazon has refused to disclose Kindle sales numbers. Instead, the company issues vague or confusing press releases: each new Kindle is the "fastest-selling ever," and at one point Amazon said "the Kindle's sales growth rate has tripled." Amazon will likely continue in that vein with its newly announced products -- which include an updated 7-inch Kindle Fire for $159, a feature-loaded 7-inch Fire HD for $199 and 8.9-inch for $299, plus a 4G LTE model for $499. After five years of coy games, some industry watchers are tired of Amazon's (AMZN) lack of transparency -- and they think it's hurting the company's stock. "Investors in Amazon should be concerned over the lack of visibility the company gives into critical parts of its business, including [the] number of Kindles sold," BGC Partners analyst Colin Gillis wrote in a recent note to clients. He also cited the revenue and the profit made on each device among the areas where Amazon could be more open. That openness is particularly key for Amazon, which faces near-constant accusations of being overvalued on the stock market. The company's stock is currently trading at an eye-popping 320 times earnings forecasts for fiscal 2012 -- by contrast, Apple is trading at about 15 times future earnings. As Amazon boasts often, the Kindle is its best-selling product. So in order to justify that pie-in-the-sky valuation, investors have to believe that the Kindle will generate some serious profits down the road. Without the numbers to back that up, analysts say Amazon is a risky bet. "Amazon provides little detailed operational information on its activities, investments nor its operating results," Indigo Securities analyst N. Landell-Mills wrote in a recent client note. "This makes it hard to assess how well Amazon is performing and thus its valuation." But Amazon shows no signs of disclosing Kindle sales anytime soon. That puts the Internet giant in stark contrast with its chief tablet rival, Apple (AAPL), which reveals quarterly unit sales for the iPad and all of its other major products. Analysts are left to come up with their own Kindle estimates, and many in the tech realm focus on data around the flagship Kindle Fire. Research firm Forrester estimates Amazon has sold about 7 million Kindle Fires since the $199 tablet launched in November, noting that nearly 5 million of them were sold during the 2011 holiday season. That's in line with data from IHS iSuppli, which tracks shipments to stores, not actual sales. The firm estimated about 7 million Kindle Fires had been shipped as of the end of June. IHS iSuppli's analysis of tablet market share also calls into question a dubious stat Amazon released last week. Amazon said the Kindle Fire holds a 22% market share in its nine months on the market -- but IHS iSuppli found that the Kindle Fire never held more than a 14% share, and sales have slipped significantly in recent months. That stat, although questionable, is one of the only two data points Amazon has revealed. On December 15, one month after the Kindle Fire began shipping, Amazon offered a glimpse into its device sales: "For the third week in a row, customers are purchasing well over 1 million Kindle devices per week," the company crowed in a press release. But even that statement was murky; Amazon didn't break out figures for each different Kindle, which range from its $79 basic e-reader to the then-new Kindle Fire tablet.